Rudy Kurniawan was arrested by the FBI at his California home and charged with five counts of fraud. Rudy Kurniawan, a high-flying California-based wine dealer and collector who once bought and sold millions of dollars worth of wine annually, was arrested by the FBI at his southern California home on the morning of March 8 and charged with five felony counts of wire and mail fraud. The charges center on sales of allegedly counterfeit wines. In a statement, U.S. Attorney Preet Bharara said, "As alleged, Rudy Kurniawan held himself out to be a wine aficionado with a nose for a counterfeit bottle, but he was the counterfeit, pawning off prodigious quantities of fraudulent wine himself to unsuspecting auction houses and collectors." The complaint alleges that for years Kurniawan financed an extravagant lifestyle by buying and selling millions of dollars of wine and borrowing cash from multiple sources without fully repaying. The complaint also reveals that Kurniawan has been living in the U.S. illegally since 2003, when an immigration court ordered his deportation. Kurniawan's attorney Luis Li of Munger Tolles & Olson told Wine Spectator that the charges "are being evaluated." Shortly after Kurniawan's arrest, a judge initially ordered him released on a $175,000 bond, secured by property. But after prosecutors expressed their concern that he would flee, the judge stayed his decision, pending appeal. At that hearing, prosecutors said a search of Kurniawan’s home had turned up materials used in the counterfeiting of wine bottles, according to news reports. A hearing is scheduled for April 9 concerning the Justice Department's request to send Kurniawan to New York for trial. If convicted on all charges, he faces a maximum of 20 years in federal prison. 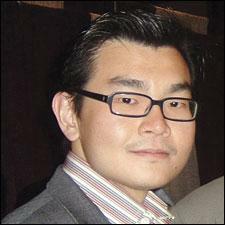 Kurniawan played a major role in the wine auction market over the past decade. In 2006, New York-based auction house Acker, Merrall & Condit sold about $38 million of wine at two auctions, all of it consigned by Kurniawan. The second of those auctions fetched $24.7 million, still a record for a single sale. But Kurniawan has been at the center of controversy since a 2008 Acker sale when the auction house withdrew 84 bottles of Burgundy he had consigned, allegedly from Domaine Ponsot . The arrest is the result of years of work by the FBI's art squad, which investigates fraud in high-priced collectibles. A key piece of evidence emerged last month, when California-based Spectrum Auctions withdrew more than 100 bottles of wine attributed to two of Burgundy’s most prestigious domaines from a London auction. Before the sale, a California collector and Burgundy lover, Don Cornwell, had voiced his suspicion on several websites that the wines had originated with Kurniawan. After the proprietors reviewed photos of the bottles and determined that they were not authentic, Spectrum pulled them. Jason Boland, Spectrum’s president, denied that Kurniawan had been the consignor. The FBI has come to a different conclusion. In its 50-page complaint, filed in a New York federal court, Kurniawan, believed to be 36, was accused of attempting to defraud potential bidders by “using a nominee to consign wines” to the Spectrum auction. Those wines, supposedly from Domaine de la Romanée-Conti and Comte Georges de Vogüé, included the most expensive lot in the catalog: a case of Romanée-Conti 1971, estimated at $125,000. If authentic, the 78 total bottles were estimated to sell for approximately $736,500. Little is known about Kurniawan's origins, but he became a fixture at wine auctions in the early part of the past decade. He claimed to be the son of a wealthy Chinese-Indonesian businessman. Kurniawan quickly became known for buying huge amounts of collectible Bordeaux and especially Burgundy. He was also an art collector. For most of the players in the Kurniawan imbroglio, money is the main issue. But that’s not the case with Laurent Ponsot, who continues to try to identify the source of the wines that Kurniawan tried to pass off as precious old wines from the family domaine. "For two years now, I have been in close contact with FBI agents devoted to the case of fake wines. And we have had multiple meetings in New York to work on this together," Ponsot told Wine Spectator. "And now, I think that his accomplices should also be identified and arrested, if they are in France, Hong Kong or anywhere on the planet. Rudy has been advised by someone with extensive knowledge of Burgundy." Ponsot believes he knows who those accomplices may be, and says the investigation is not over. Kurniawan's attorney Luis Li of Munger Tolles & Olson told Wine Spectator that the charges "are being evaluated." Shortly after Kurniawan's arrest, a judge initially ordered him released on a $175,000 bond, secured by property. It is interesting that he attempted to use a $175k property bond. 1) How does someone manage to remain in the USA for 9 years after losing an extradition appeal? 2) Why, in the first place, would anyone (reputable) do business with someone who is illegally in the country? I've a lot of anger about this and it extends to all of the 'other' people who took his wines and fronted for him. Scott Ercit (comment above) asks why would anyone (reputable) do business with him? That is such an important question that we need answered. I was at the auction in Hong Kong where the Acker catalogue referenced Rudy as "Dr. Conti". Why would they cover up and mislead us when we are trusting their discretion. What could possibly be the answer to that question? Why have the other people who fronted his wines; auction houses &amp; dealers not also been brought in and held accountable? With the help of William Edgerton we were able to finally get our $140K returned after so much agony. The next month he was arrested, we were not dealing directly with Rudy and I never met or knew him. However his front man relaying his stance and messages was obviously in on this and they all knew what was going on. That has not been proven so the phrase "allegedly must be inserted.